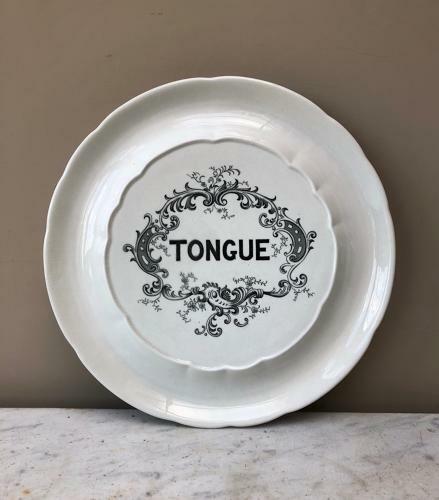 Superb Condition Edwardian White TONGUE Display Plate. Very clean...great to use or display....no damage. This is the more unusual Tongue plate to find as you often see them with gilt edging and Tongue Plate Centally...I much prefer this plainer style.